Wednesday, 06 June 2018 Be the first to comment! 4 family holidays that will make your kids feel like they’re on Blue Planet II! Where are the safest places for family travel? Friday, 28 October 2016 Be the first to comment! As parents ourselves, we can understand that safety when travelling is at the forefront of everyone’s minds and, in an increasingly turbulent world, it is understandable that travellers are eagerly seeking out destinations where issues such as political unrest are less prevalent. Monday, 17 October 2016 Be the first to comment! We love seeing what families get up to on our Activities Abroad holidays. From swimming with dolphins in the Azores to rock climbing on the Maltese island of Gozo, it’s always great to see our families having loads of fun together while experiencing a wide range of unforgettable activities and experiences. This summer we asked you to share your favourite holiday moments with us to be in with a chance of winning a Go Pro Hero 4 - the ideal piece of kit for recording, and then, recalling, an active family adventure! Thursday, 22 September 2016 Be the first to comment! We’ve been running activity holidays since 2002 and there have been many, many occasions when parents have commented on how our trips had helped to build their children’s confidence and self-belief. This is something I have seen in my own kids over the years but I’ve never had a pictorial example of just how inspiring our outdoor activities can be. That was until a few weeks ago when the McLean family joined Activities Abroad’s family holiday in The Azores and I went mountain biking with my son. Friday, 03 June 2016 Be the first to comment! I’ve never really understood Kids’ Clubs. Why would you want to go on a family holiday (that's F-A-M-I-L-Y holiday) then pack the children off every day while the grown-ups do their own thing? My philosophy, and it is one that I have always insisted that we adhere to here at Activities Abroad, is that a family holiday should be just that, a family holiday. I see a lot of my kids. I see them when I am driving them to football or rugby or cricket or dancing or "Rock Project" or any number of activities. I also see them while they are playing football or rugby or cricket (but not dancing or "Rock Project"….Teenage Daughter would never allow a “PARENT!! !” to be present). However, this is my point. Whilst I SEE a lot of my kids, like so many parents, I rarely actually DO anything with them. I seem to spend my life watching them rather than participating with them and I think that is a great shame. I'm not sure that the kids feel the same way but it is the reason that I believe a shared family holiday is so important. Friday, 18 December 2015 Be the first to comment! This summer we invited families to share their memories of their Activities Abroad holiday with us and we were delighted with the great response we received. From the Mihill family hiking through the Paklenica National Park in Croatia to the Crump family canyoning in Slovenia, we received some amazing images and videos from our summer sun holidays all over the world. We created a video of some of the #AASummerFun 2015 memories so you can enjoy a piece of the action. Monday, 16 September 2013 Be the first to comment! As a father of two, anywhere that makes my children smile from ear to ear and laugh so much is alright by me and that is why year after year we return to Luosto. This small Finnish village has everything and more that a family could wish for. The Tunturi Hotel has a small swimming pool which is an ideal place for the kids to splash around in. The staff are friendly and accommodating and the restaurants are very child-friendly. Luosto offers plenty of activities for parents and children. Our favourite has to be dog sledding and the cries of delight from the kids are unforgettable as we whizz through the snowy forest. And then, to meet and handle all the cute puppies in the Husky Farm afterwards is amazing. Each and every time, my daughter just can’t stop smiling and we invariably have to disappoint her by telling her she can’t bring a puppy home. Here, our Managing Director tells you why he goes back to Finnish Lapland year after year. 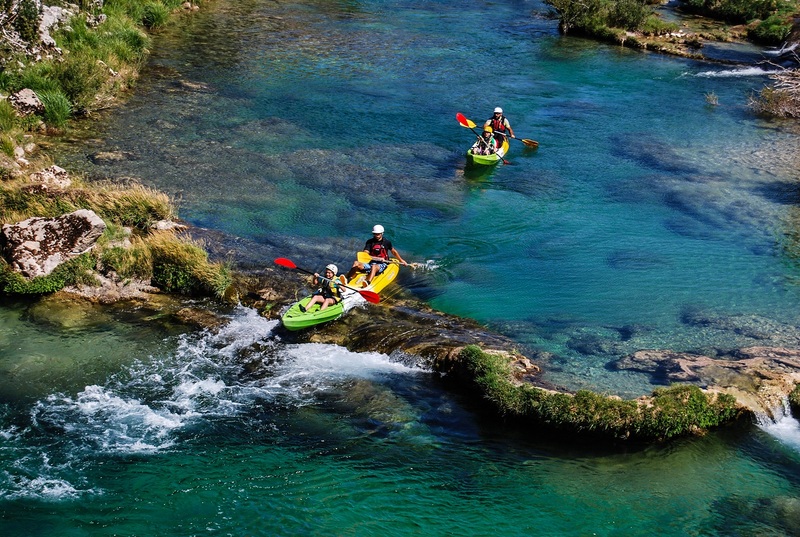 In this job, I travel a great deal on business-related matters but always find some time to go out and play regardless of whether it’s hydrospeeding on Slovenia’s stunning Soca River or husky sledding across the frozen lakes and undulating hills of Fell Lapland. You would think that somebody who visits snow covered Lapland up to five or six times every year would seek somewhere slightly warmer for a holiday. Not so, when it comes to the McLean Family holiday, we’ve headed straight back to Finnish Lapland for the last five years running.